At Beach Club, you will find apartments with view to the sea in Cartagena de Indias. It is located in the northern zone of the city, an important urban development pole in XXIth century. Designed and built with high quality materials to make your daily life in this condominium a pleasure for you who are "destined to live the dolce vita". Only 5 minutes away from the Historical Downtown of Cartagena de Indias, a few steps fro nm the airport and strategically located at the beginning of the Anillo Vial that communicates Cartagena with the city of Barranquilla. 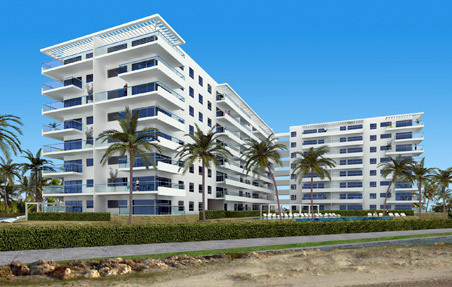 Beach Club possesses all the comforts of a luxury condominium...only for you.